I have spent the day in the company of my Lovely Grandson. In this part of the World it is half term so Grandparents all over the country are being called upon to mind their Grandchildren. I love these days and regard it as an opportunity to play childish games that I don’t normally have chance to do. Today we were cutting and pasting. Not in the computer sence thank goodness, but using scissors and paper. We made a scrap book and Lovely Grandson drew delightfull pictures of his collection of “Skylanders”. For the uninitiated these are a tribe of Aliens who are used to play animated computer games and basically fight each other. 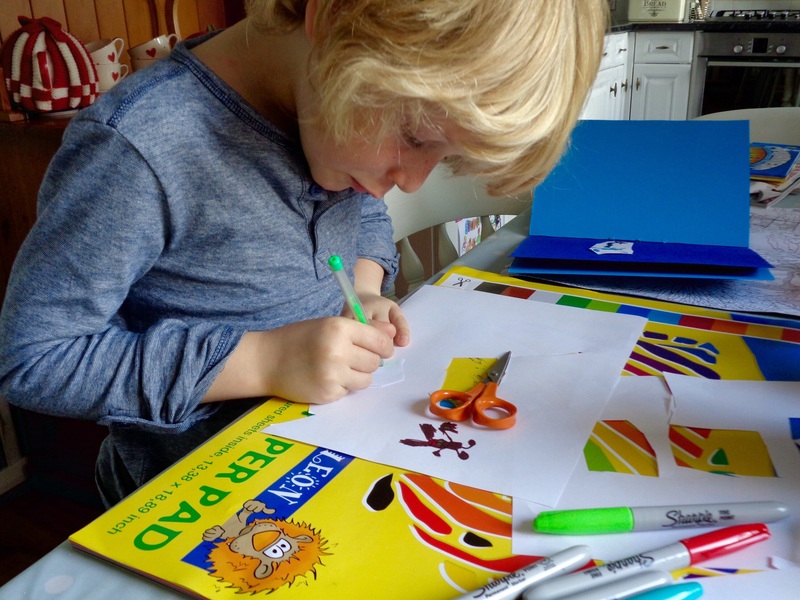 The drawings were all labelled with the characters’names, therefore improving writing skills as well as cutting out and gluing them into the home made book. Yes! That is something else that has changed. It’s no longer a “scrapbook” but a “smash book” – nothing stays the same. Finally Lovely Grandson set up his Skylanders as a display using the scrapbook smash book as the back drop. 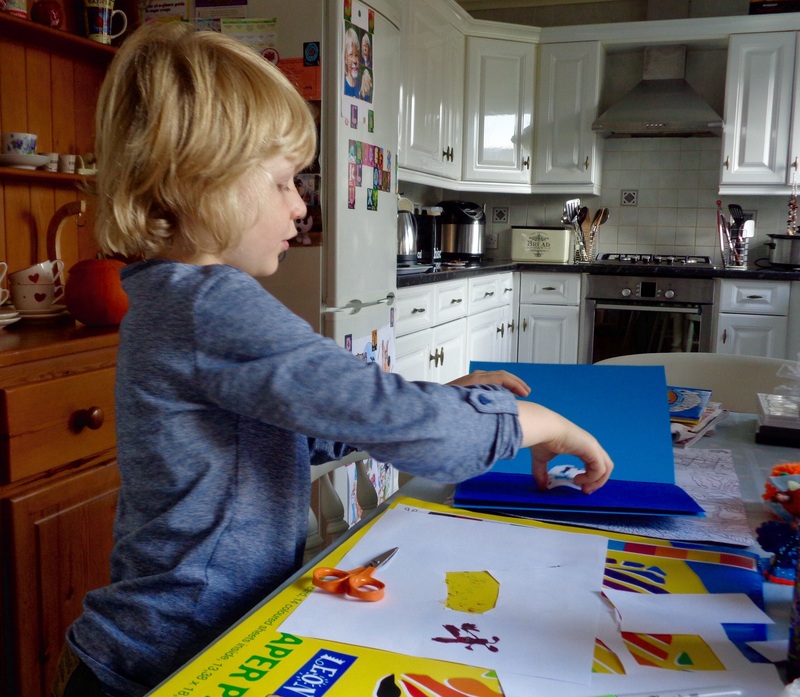 A creative, busy and fun day for both Lovely Grandson and Gorgeous Granny!